Do you have an interest in other cars? Re: Do you have an interest in other cars? The plate is for NSW historic car rego (hence the "H"). Limited road use which suits me as I don't drive. The annual fee is only about $50 (maybe less - can't remember) which includes third party bodily injury insurance. You have to be in a car club for this type of rego. Tasmania would have the same thing. Here are my finished projects, I continue with other projects. This w123 1976 200 is my first car restoration project. It was owned by my grandfather and now it is better looking than the days I used to play Star Wars with the star emblem of this Benz. I love the color. It still drives amazingly strong and alot of fun to travel long distances. any idea wen the restoration is finished? My experience would say in about 10 years :-). However, I'm going to put in some extra effort to try and get it done for the year of the Stutz at Pebble Beach which I think is 2011. It started with a engine from a 1913 95hp "Prinz Heinrich". 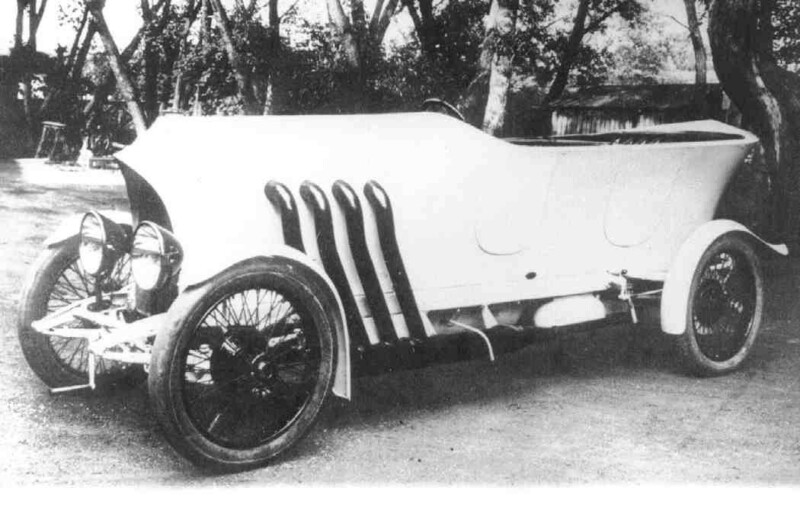 The PH was designed by Ferdinand Porsche as a race car for the 1910 Prinz Heinrich Fahrt. Porsche was one of the drivers and they took a 1-2-3 victory. After that they made a small series of production cars of the same design. The top speed is 140km/h.... A car for the rich and famous at that time. The car in the attached picture was owned by a Prince von Parma. I have tried to recreate a engine that we found in Sweden in 1992. It now has a new crank case and a lot of other reproduced parts. Right now I'm working on a casting pattern for the waterpump. 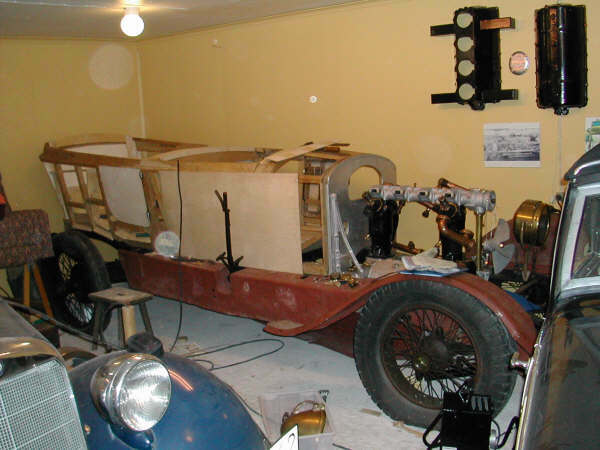 Some years after we found the PH engine we tracked down a 1918 AD 35hp chassis in Switzerland. 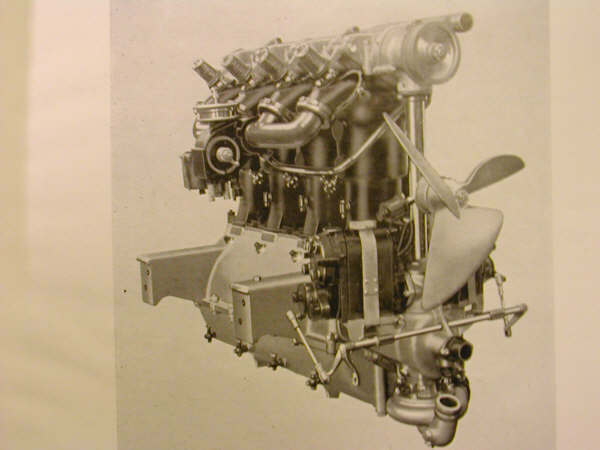 We are thinking of putting the PH engine in the 1918 chassis as they are very similar. A hot rod!? Rather than starting a new thread for something really quite trivial, I'll just stick it here as it may be interesting to some. My finnie (as mentioned above) has a rebuilt 250S engine which looks very similar to the original (identical rocker cover etc. and it bolted straight down to the same engine mounting points - new mounts of course). I purchased a rusted out 250S and grabbed a few bits and pieces (in addition to the engine) before calling the metal recycling man to take the body away. Amongst those pieces was this interesting engine stabiliser arm which the 220S never came with, but was standard on a 250S. It is for a damper that connects to a bracket at the the front of the block. I bought a new Boge damper to use with it. A perfectly flat mounting area was already there for the arm which looked exactly the same as that in the 250S! The 250S had welded-on threads which the finnie didn't, so when the engine was out last year we drilled some 10mm holes with a view to installing "NutSerts" later on. That turned out to be not a practical idea, so I decided on using standard bolts. Getting the bolts in there yesterday was a bit tricky as access from behind was near-impossible. I used thin copper wire to pull two of the three bolts through and I "just" manged to get my fingers in there to attach a nut for the top one. Did I install that damper upside-down? No. It's right with the damper shaft pointing down.